Dino Drac's "Envelopes of Evil" For Sale! | Dinosaur Dracula! 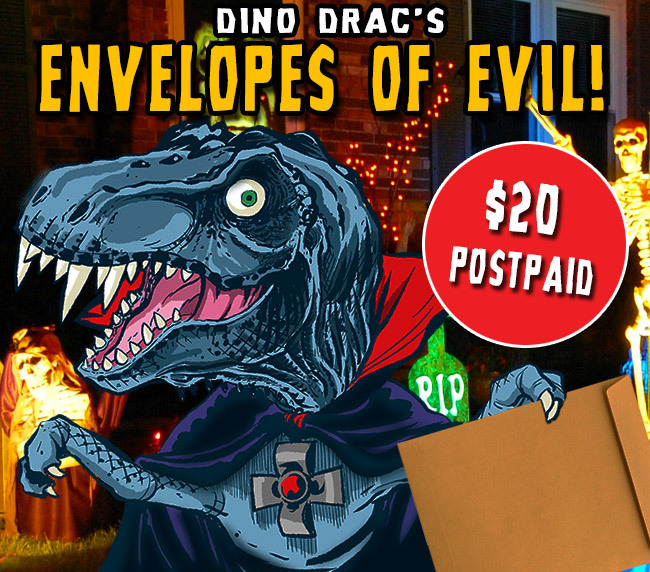 Dino Drac’s “Envelopes of Evil” For Sale! Hello! Since I want a raise but don’t have a boss to ask, it looks like I’ll have to grab the bull by the horns, or take the reigns, or whatever the saying is. I don’t know. Hey, look, I have Envelopes of Evil for sale! Note: This is a one time sale that is not connected to my monthly Funpacks. The Funpacks are still going strong, and they’ve been a blessed thing in helping me to continue the site, but since there’s an obvious financial ceiling with those, I’ve decided to occasionally do one-off sales to pick up the slack. The Envelopes of Evil are priced at an even $20, and that include shipping. They’re only available in the United States. What’s inside? Well, look below! 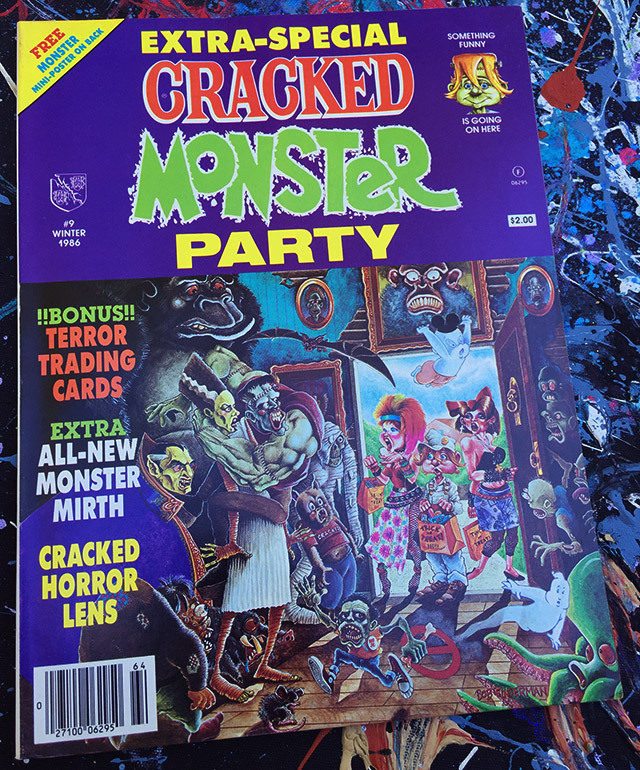 1) A sparkling copy of Cracked’s Monster Party magazine, from 1986! 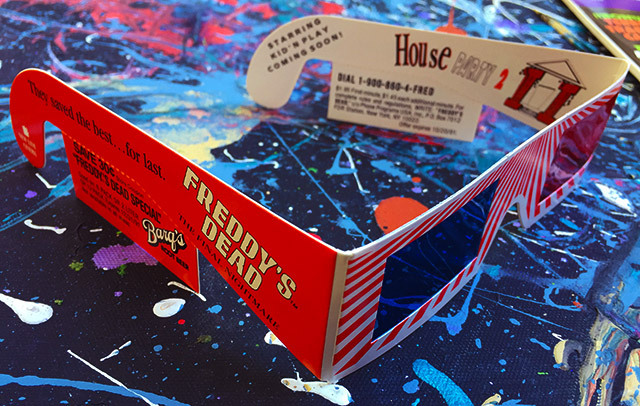 2) A vintage pair of Freddy’s Dead 3D glasses! 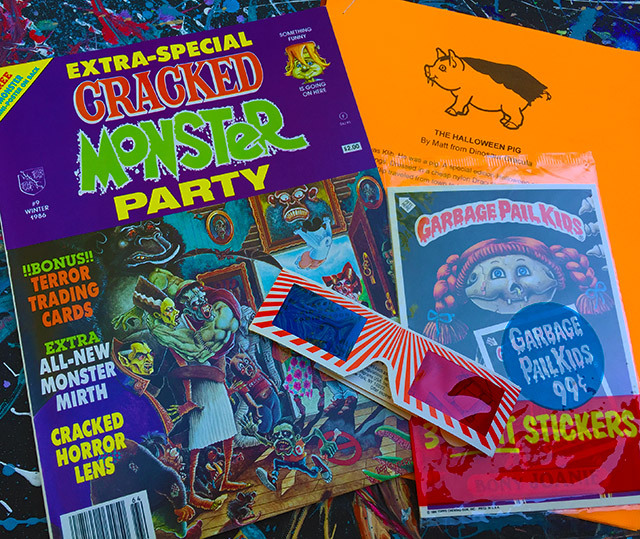 3) A sealed pack of three vintage giant-sized Garbage Pail Kids stickers! 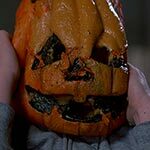 4) The Halloween Pig, a short story written by yours truly! These will be shipped fast, and quantities are limited. 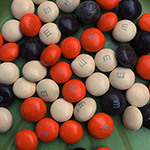 If you’d like to order one, simply click the button at the bottom of this post. Orders are processed through Paypal. 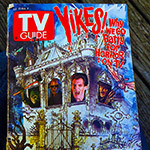 Again, unlike the Funpacks, this is not a subscription. It’s a one-and-done sale for anyone who might be interested! 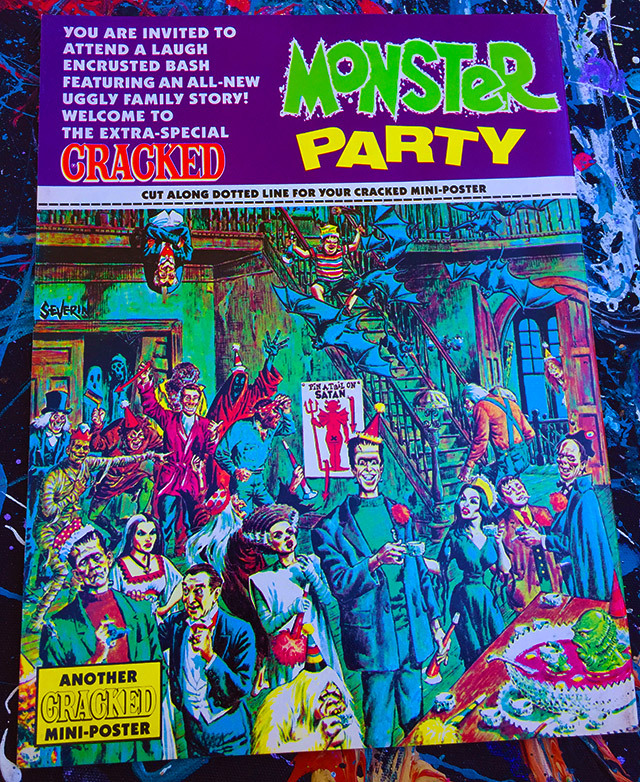 The Winter 1986 issue of Cracked Monster Party is super cool, especially for its great cover art and monster-drenched mini-poster on the back! As for what’s inside, it’s a spooky monster fest filled with all sorts of comics, killer art, and even some weird cutout monster trading cards! Next you’ll get a sealed pack of 1986 Garbage Pail Kids Giant Stickers. At 5×7”, these are much larger than the normal stickers. Each pack comes with three different, each with more gross art on the back! 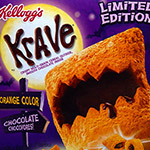 Then you’ll receive a vintage pair of A Nightmare on Elm Street 3D glasses. Remember how Freddy’s Dead had that 3D scene? Well, these are the LEGIT glasses once given away in movie theaters! They will be sent folded, but each is unworn and complete, right down to the little coupon tabs on the temples. So cool! 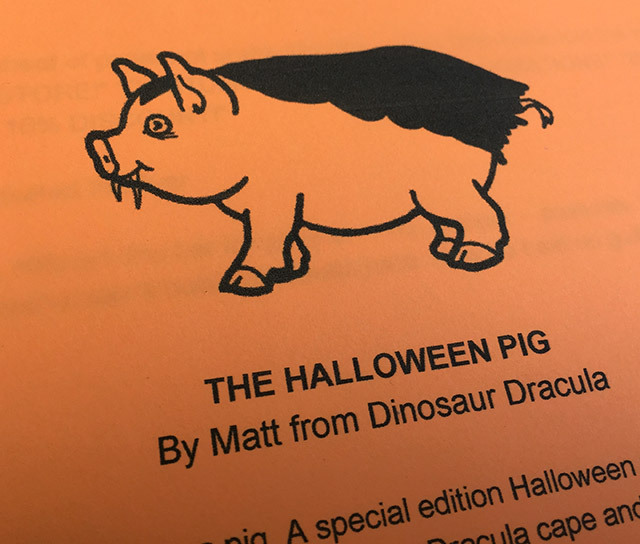 Finally, a copy of my hot new short story, The Halloween Pig, about an orange pig in a Dracula cape who roams from town to town in search of Halloween adventure. It’s a few pages long and most definitely the dumbest thing I’ve ever written. How’s that for a hard sell? So, you’ll get everything above sent in one big envelope — the Envelope of Evil! 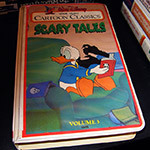 — for $20. Again, this offer is only good in the United States. Consider this another way to support the site and get some really strange mail in the process. If you’d like to order, simply click the button below. Thanks all! 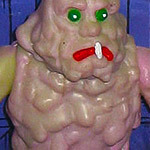 Obscure Horror Toys found on eBay!